A Little More Than Ordinary...: Lanes of My Childhood.. Written for Haiku Heights Prompt: Childhood..
Also shared with Haiku My Heart.. I had mischievous moments also...oh and the memories of my first crush...love your haiku! Nice haiku Ramesh. Loved reading it. i want to hear that story! Love the phrase "Lanes of my childhood"
A Pleasant and Lovely Morning! Mischievous moments and first crush are definitely worth remembering. Thanks for dropping by my blog. Really? You were mischievous? Hard to believe! Hard to see you as a naughty child, Ramesh. 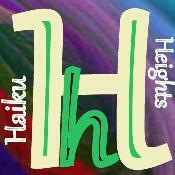 I love the "lanes" haiku! It really made me remember!!! I love the "lanes of childhood" image, so evocative. Beautiful. "mischievous moments"... I bet you have stories you can tell!